There’s a lot of hand wringing about rising interest rates and how it will affect bonds and other income-based investments. There’s a lot of doom and gloom, too, predictions that the bond market will crash if the fed raises rates. Bond ETFs and futures have mostly priced in a December rate hike, with possibly more hikes down the road. When you buy a bond and rates go up, it makes your existing bonds less valuable (because why would someone want a bond that pays less interest over one that pays more). Short-term bonds are more insulated to rate hikes because they are replaced more frequently. If you have a 30-year bond and rates begin to surge, you may feel regret being locked into an existing low rate for so long, because you will have to wait 30 years until it’s renewed at a higher rate. The ETFs and futures which track bonds in real-time try to account for how the yield curve responds to rates, and new bond replacements. The results are somewhat counterintuitive. So long-term bonds should get bludgeoned when rates rise, right, because you’re stuck with them for so long? Not so fast. The yield curve, unlike the federal funds rate, cannot be directly controlled by the fed. When interest rates rise, the long-dates bonds respond much more slowly because we’re looking 10-30 years ahead and no one really knows what will happen that far out. Just because interest may be at 5% today doesn’t mean they will be at 5% in 30 years, especially if there is deflationary pressure such as impending economic weakness or the ‘flight to safety’. The result may be an inverted yield curve, where the long-term rates are lower than the short-term ones. If rates rise from 0% to 5%, the 30-year rates won’t also rise 5%, since, as mentioned before, long-term bonds are much less sensitive to fed policy. As you can see below AGG, an ETF of investment-grade 4-5 year bonds, fell in Q2 of 2004, possibly in anticipation of the rate hikes, only to rise 10% as the fed raised rates between 2004-2006. Not bad. Had you sold in early 2004, when it would have made the most ‘sense’ to do so due to all the headlines about rising rates, you would have missed out on a large rally. That’s why you cant base your financial decisions on the news. Everything is priced in, in accordance with the EMH (efficient market hypothesis). 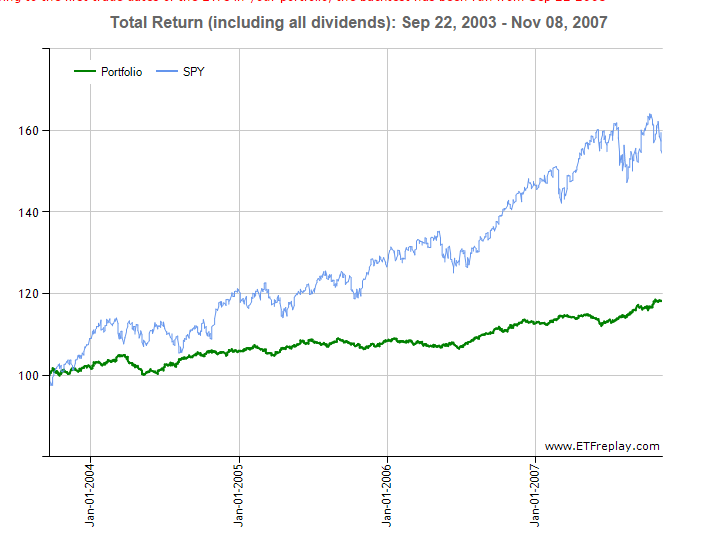 A similar outcome is also observed for LQD, an ETF of 7-8 year duration investment grade corporate bonds. Based on the performance of these ETFs during the last fed tightening cycle, rising interest rates should not be a concern. 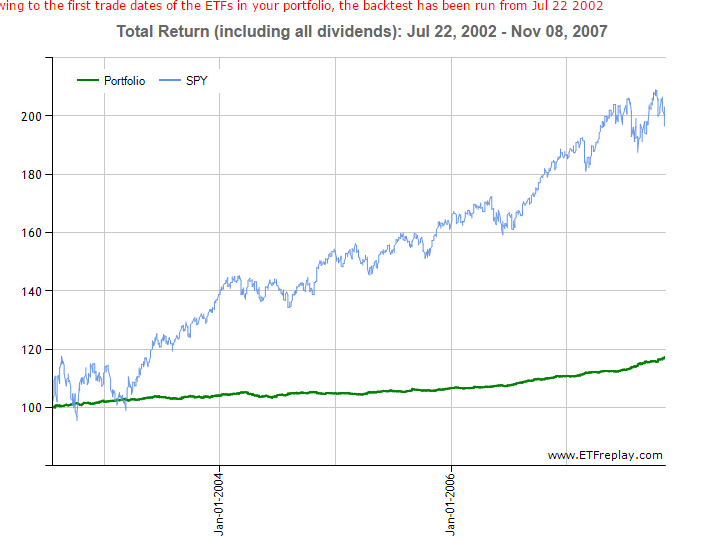 After factoring in dividends, all the bond ETFs made gains. 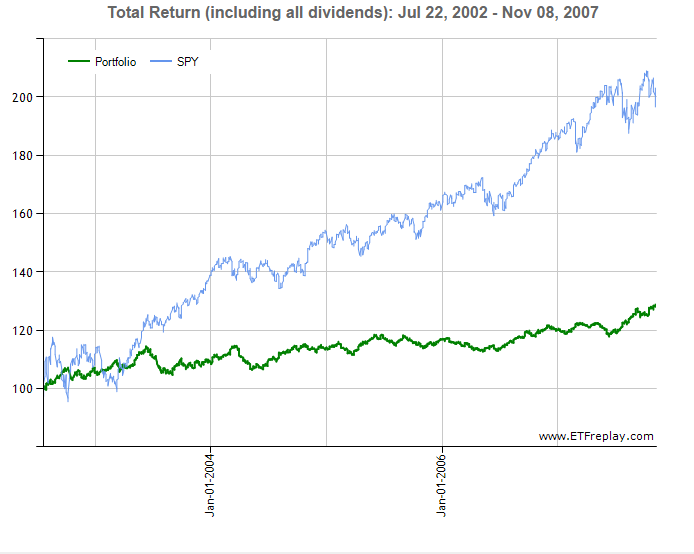 As an addendum, I only recorded nominal returns. 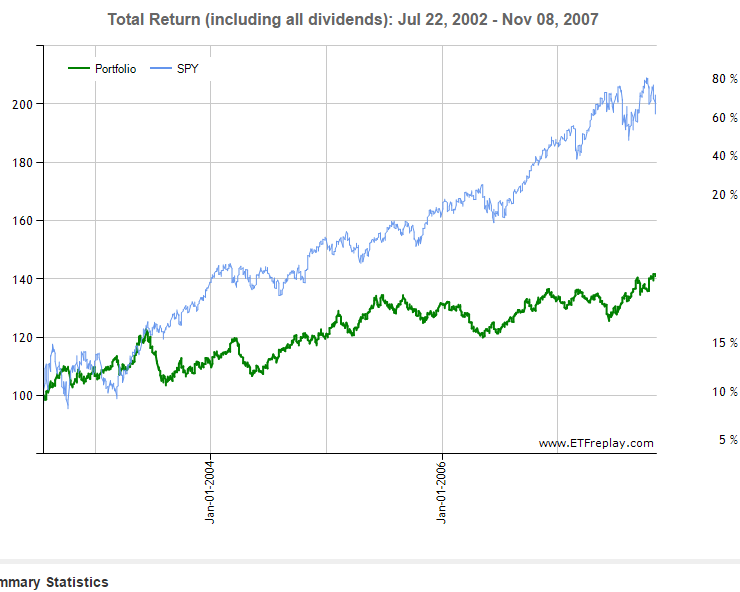 The real returns are slightly harder to obtain and requires integrating the yield and then discounting this from the nominal. I think <3 year duration bond may have lagged cash on a real basis, but longer-dated duration bonds still outperformed cash in a bank account. According to data compiled by 7-12, between 2004-2007, bonds lagged cash in 2005 and 2006, but this was by a small margin, and they didn’t make a distinction between different bond types. As interest rates spiked to double-digits between 1977-1981, bonds performed badly relative to cash, but I don’t foresee interest rates rising any higher than they were in 2006. Most people when they access their stock and bond accounts, don’t care so much about real returns. Just not seeing losses on an absolute basis is good enough.